Receive an in-house certificate to allow you to work in confined spaces. Learn about safety legislation, precautions and how to avoid common hazards. 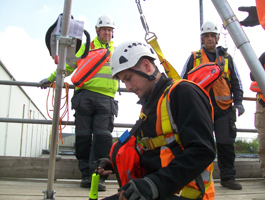 This course is suitable for anyone whose job involves entry into confined spaces. To provide you with the theoretical and practical training to work in a confined space that is hazardous-gas free at the time of entry. You will be tested throughout your practical training and with a classroom assessment.